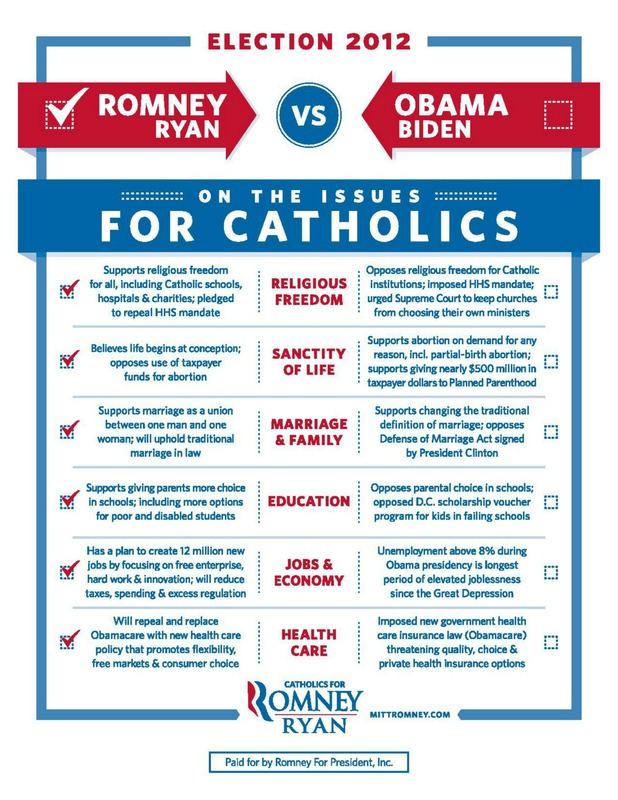 Governor Mitt Romney’s “Romney-Ryan vs. Obama-Biden On the Issues for Catholics” (click here for printable pdf) impressively shows how he will support and defend Catholic values against the assaults of President Obama and Vice President Biden. See the graphic of “Romney-Ryan vs. Obama-Biden On the Issues for Catholics” below and share with your friends. Here is Governor Romney’s TV spot for Catholics for Romney that calls for protecting religious freedom from President Obama’s assaults. 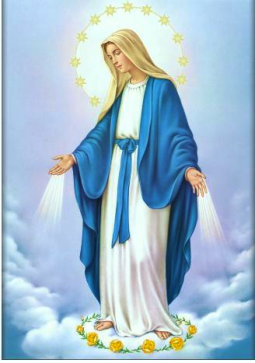 This entry was posted in Uncategorized and tagged barack obama, Catholic, Mitt Romney. Bookmark the permalink.